Your water chemistry is one of the most important factors in keeping your pool clean and clear! 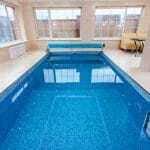 Understanding swimming pool water chemistry is an essential part of caring for and maintaining your swimming pool. The basic parameters the we check when we visit your pool OR when you bring us a water sample is Sanitizer (Free & Total Chlorine for example), pH, Alkalinity, Cyanuric Acid (Stabilizer) and Calcium Hardness. For our purposes here, I will stick with Chlorine as the sanitizer of choice, but if you use something else, feel free to stop by and ask us about it! We’ll be glad to answer all of your questions. Chlorine is the most popular sanitizer used in pools & spas today. It is measured as Free Chlorine and Total Chlorine. The majority of our customers use the traditional 3″ tablet, whether in a “float” like the one in the picture above, or in a feeder system which is piped into the filtration system. Many customers also simply place a tablet or two in the skimmer basket, which is perfectly fine as well! An increasing number of our customers use a “salt system” which makes chlorine by breaking down the salt molecule (NACL) into it’s individual parts Sodium (the NA) and Chlorine (the CL). 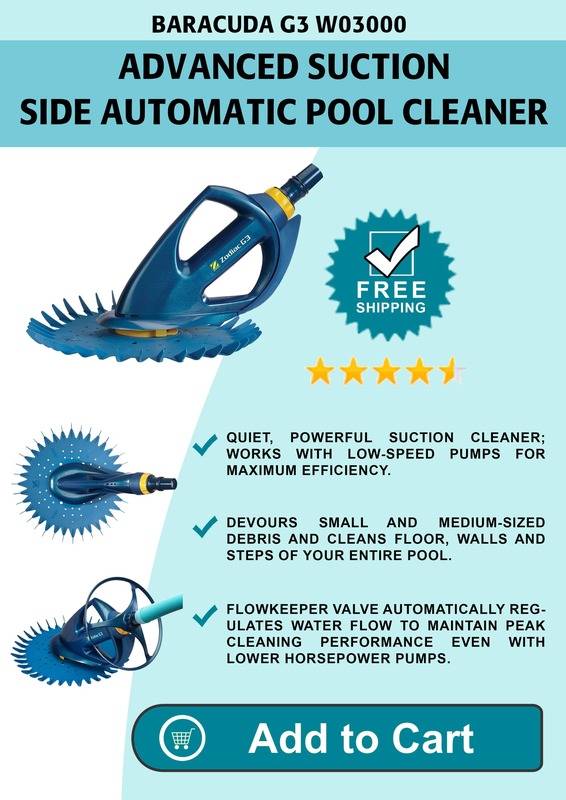 Regardless of which system you use, you will also need to shock your pool regularly with a high concentration chlorine formula made specifically for that purpose. The recommended range for chlorine is 1-3 for swimming pools and 5-10 for spas. Maintaining a little higher chlorine level in your swimming pool, say in the 3-5 range, may be helpful for pools that are used often or are exposed to direct sunlight for the majority of the day. pH is the measurement of the acidity or alkalinity your pool water. If your pH is out of whack, your chlorine will not work! The ideal for pH in a swimming pool is roughly determined by the pH in human tears! That reading is about 7.35 but the range for your pool should be between 7.2 to 7.8. Many swimmers complain that their eyes are burning and blame it on too much chlorine, but it is actually the pH that makes your eyes burn in an out of balance pool! Also, pool water that is too acidic or too alkaline will cause damage to pool surfaces & pool equipment, which can be extremely expensive! Alkalinity is, not to be too obvious, the measurement of all the alkaline chemicals found in pool water. Alkalinity in your pool water acts as a buffer for your pH. As long as you have alkalinity in the water, you will be able to maintain correct pH readings. However, when you run out of alkalinity, pH begins to rapidly drop. If the pH reading drops, the sanitizing effects of chlorine are greatly diminished. This is how many pools turn GREEN! 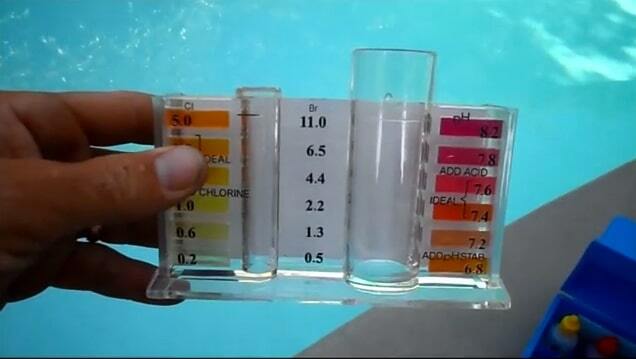 It may look like there is plenty of Chlorine in your pool, but without the proper pH reading it is USELESS! Cyanuric Acid is also known as stabilizer or conditioner and helps maintain the chlorine level in your pool. Many chlorine products already have stabilizer added, such as the 3″ tablets that are so popular. Many products like this will say “stabilized” on the label, but not always. Without Cyanuric Acid, you would have to constantly add chlorine to your pool in such large quantities that it would not be cost effective for a residential pool. Calcium Hardness is the amount of dissolved calcium in your pool water. 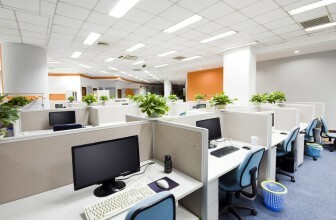 The ideal amount of dissolved calcium is between 100 and 500 PPM. Calcium Hardness above 500 PPM can cause calcium to precipitate from the water causing cloudy conditions and scale deposits. Low Calcium Hardness (below 100 PPM) can lead to corrosion. To maintain an Ideal Calcium Hardness level in your pool water and prevent cloudy water add a Rust and Scale Remover when the Calcium Hardness Level rises above 400 PPM. A low calcium hardness level can be corrected by adding Calcium to the water. Extreme caution should be used when adding calcium as there is a chemical reaction that occurs when calcium and water mix. Calcium should be added SLOWLY to the skimmer in small quantities, over several minutes. Never mix calcium and water in a bucket to dissolve it, the water can heat up enough to cause serious burns!!. In most areas, Iron and Copper are commonly found in well water, but may still be found in local municipal water supplies. Homes in some areas, even those that have switched to a municipal water system, may still use well water to supply hoses and sprinkler systems. In this way, these metals find their way into the pool water when fill from the hose, or even by accident when watering lawns. If you use well water, LET US KNOW! 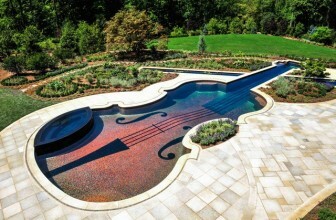 Many times a green pool can be traced directly to metals in the water! Phosphate is the main ingredient in fertilizer. Phosphate is plant food, and algae are plants! If you have had persistent trouble with algae, every year – and it always seems to come back no matter what you do, you may have a phosphate problem in your pool! Again, if your chemistry is otherwise good, yet you still have a green pool, this is usually the cause. Common ways phosphates get into a residential pool include over-spray from using “Miracle Grow” or another fertilizer that attaches to your garden hose on your lawn or plants near your pool. Or if your neighbor uses a powder fertilizer or a commercial company, many times it can blow around the neighborhood and end up in several pools!